I have a dysfunctional relationship with the Brontës. I often find myself rolling my eyes at all the DRAMA! in their stories, which I usually go out of my way to avoid in other books. I rebel against Charlotte’s negative portrayal of my beloved Brussels and her snide remarks about Jane Austen. I cringe at Emily’s glorification of an abusive hero. I go a bit easier on Anne because I have a soft spot for her – she has her sanctimonious moments, but I’m anxiously waiting for the day when the world realizes she’s the true ground-breaking feminist in the family. The truth is: I can’t get enough of them and can’t think of a more interesting family (maybe the Mitfords come close?). It’s almost like I’m also a Brontë sister, always bickering but loving them all the same, vigorously defending them from outside attacks. I’m also a proud member of the Brontë Society, and its Brussels Bronte Group branch (post about our weekend in London). I’ve read many books about the family and since Charlotte’s birthday is coming up, I’ve decided to start celebrating earlier with a list of my favorites. Have you read any of them? This is on my top-3 favorite biographies of all time. It’s huge, but it reads like a 300-page Sarah Addison Allen novel. It starts with Patrick Brontë’s youth and arrival in England and goes right through to the family’s growing popularity after everyone’s been long dead. Juliet Barker’s approach is that a reliable biography of each Brontë cannot be done in isolation, since their lives were too connected and they constantly inspired each other’s work. She’s also in the business of myth-busting. Like Start Trek, each new generation creates a new zeitgeist version of the Brontës. Miller examines the way these perceptions change over time by taking a comprehensive a look at all body of work produced about the family. The impact of Gaskell’s The Life of Charlotte Brontë was especially interesting to read, as well as the ripple effect of the cinema adaptations of their works and lives. 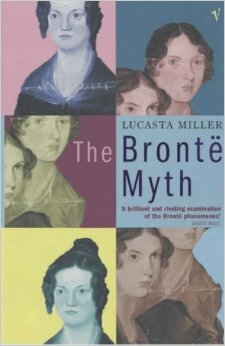 This was the book that started the Brontë myth and crystallized it for many years. Gaskell was a friend of Charlotte Brontë and, for better or worst, it shows. Even if you know little about Charlotte, it’s obvious this is a very romanticized and sanitized version of her life. Gaskell was very keen to keep up Charlotte’s domestic-goddess image – fascinating stuff to read from a 21st century perspective. I’ve had really geeky conversations with other Brontë aficionados on the best order to read the first three books on this list. 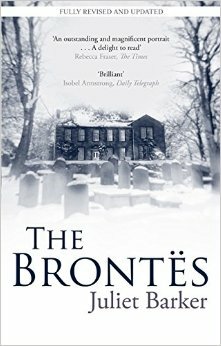 The Brontës was the last to be written and it’s a great intro to the family. It talks about how both The Myth and The Life fit the narrative. The Myth describes in detail how The Life impacts how we perceive the Brontës even today. It’s really interesting to read The Life after The Brontës and The Myth, but it would probably be a very different experience if read first. Oh Branwell, golden child, the unfulfilled promise, the most tragic element of a tragic family. This is Branwell’s biography and a great example of du Maurier’s non-fiction skills. From what I’ve gathered, she saw this book as an opportunity to prove herself beyond her “popular literature”. Confession: I didn’t know this book even existed until I won it in a raffle at the last Brussels Brontë Society Xmas Lunch. A novel for a bit of change. 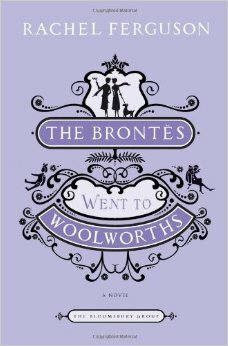 The Brontës Went to Woolworths is about three sisters that share an imaginary world that threatens to become more real than reality. 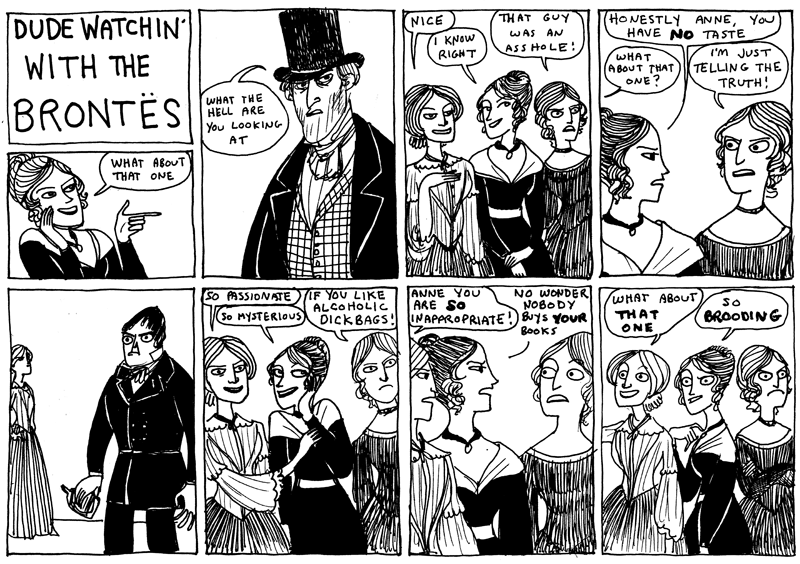 And it actually does, because after a table-turning session, the Brontë sisters come knocking on their door. It’s such a witty and fun book and unlike The Eyre Affair (don’t get me started on that one, a pet hate of mine), the Brontës act as I’d expect them to. It’s one of those forgotten diamonds that deserve more limelight. How come it’s not a Persephone? Thanks for the recommendations. They are such and interesting family, aren’t they? I don’t think I’ve read anything about them since college but not I’m interested in the Julie Barker book. You’re in for a treat! If you do get around to reading it, let me know what you think. The Juliet Barker biography, is probably one of the best and most thorough. 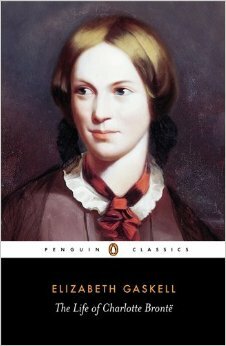 I have also read Elizabeth Gaskell’s account, which I did not like. Daphne du Maurier’s book about Branwell is good as well, although I think, from time to time, she is quite free with her interpretations. As you have seen I have read Lynne Reid Bank’s two historical fictions on the Brontë family, The Dark Quartet and Path to the Silent Country. If someone wants to start out knowing more about the Brontës, this is an easy way to start. Excellently, and beautifully written. Then to go on to a biography, Barker’s for example. Well, all in all, the Brontës never cease to capture our imagination! Hi Lisbeth, thanks for the recommendations! Have you read any biographies of Anne you can recommend? Holy cow! Daphne du Maurier and Elizabeth Gaskell wrote non-fictions books about the Brontes?! I feel like I’m being introduced to some realm of biography I never knew existed and that I have obviously been to blase’ about the Brontes all this time. Will definitely save this post so I can remember to further explore these books. Fascinating! Oo, The Bronte Myth looks amazing! I love books that deal with the developing reputations of authors and how they’ve changed over the decades. Then this one if definitely up your alley. Jane’s Fame’s also interesting in that way. Any you recommend? This is such a great post! I might add The Secret Diaries of Charlotte Brontë (Syrie James) to the list too. It’s a fictionalized account, but it was fun and very readable. *add to wish-list* thanks for the recommendation Melissa!